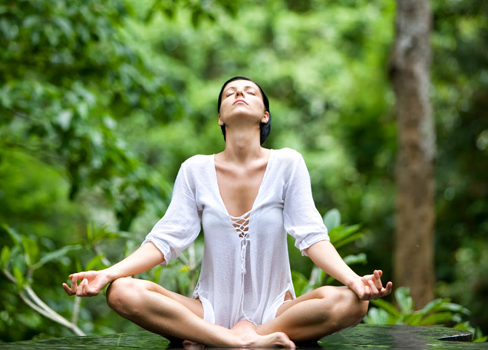 We offer you to start your road to HAPPINESS with this 7 days meditation retreat in tropical paradise of Costa Rica. This is all inclusive retreat, except transportation. During these 7 days you will learn and practice spiritual techniques, including Vipassana meditation, that brought happiness to many thousands of people. The retreat designed to help you learn what does it take to get in to the state of happiness, to reduce stress and eliminate anxiety from your life. As you probably already discovered though your life experiences, it is not enough just to remove the “stressful” events or people from your life. It just won’t eliminate your stress and will not make you happy. There are many other steps that you need to do in order to reduce stress in your life. When you are unhappy with something in your life, anything you do will make you stressed and bring anxiety in your life. You may have a small argument with someone and it will make you stressed. Some very small uncomfortable situation, daily routine situations and many other simple life things may bring excessive stress and anxiety in to your life. The reasons are not those situations or people. The reason is hiding inside your mind; it is your subconscious mind that gives a signal to your mind and body to react to the events with stress. As you see, it is not enough to eliminate the “stressful” events from your life in order to reduce stress and anxiety. You need to remove the programs from your subconscious mind that make your mind and body to generate those specific reactions. In order to achieve this you need to learn some practices that will help you to remove energetic blocks from your body, train your mind, stop unwanted thoughts and other things needed to replace stress with the state of happiness. During the retreat you will also detoxify your body, by eating fresh fruits and vegetables diet. No meat will be served. This will allow to detox your body from the unwanted energies, you are getting when you have diet that includes meat, fast food meals and is not prepared daily. What Included in Meditation Retreat Costa Rica. You will learn the technique to eliminate your unwanted thoughts and stop your mind from vibrating on the same frequency with peoples who has low vibration thoughts patterns of negative thinking. You will clear out your head and will start vibrating on higher frequencies. You will learn and practice silence meditation technique – Vipassana Meditation for emotional releases. Vipassana meditation is the technique that teaches you how to concentrate your mind, how to stay in here and now so you do not react to every life situation or words with negative emotions. How to eliminate cravings or aversions toward anything and stay equanimous in any situation. It will help you to get rid of conditioning system that was pushed on you from the time of birth by society, parents and media. It will teach you how to live happily in positive emotional state. As in any spiritual practice your success will depend on your commitment and your work. Practicing these techniques in your daily life after the retreat, will change your life and will bring in it a lot more happiness. We hope to see you on the retreat and to share this beautiful experience of transformation with us. We need to start living from the heart, living by generating only main feelings: love and compassion. Those are the only 2 real feelings that exists and those are the feelings that will let you live in happiness with yourself and the world around you. Those are the feelings that will save our World and our Planet.